In the countdown to the epic conclusion of Christopher Nolan’s Dark Knight Trilogy - The Dark Knight Rises I was invited down to the plush screening room of Warner Bros. to reacquaint myself with Christopher Nolan’s Batman. Here are some thoughts on the highs and lows of Batman Begins the film that started the most epic of super hero tales. I’m not going to do an in-depth analysis as there are countless books out there discussing Batman’s origins, history, legacy, the psychology of the man and the mask, Jungian archetypes and Freudian like discourses on the relationships of Batman. Besides a proper analysis would take more time and patience than you have. This post is some thoughts off the top of my head given the opportunity to re- watch Batman Begins. First off I have to say re-watching Batman Begins I was reminded of how much it is a cinematic experience that needs to be enjoyed on the big screen with a decent audio system backing it up. I have watched the Batman Begins Blu-ray countless times (on my not too shabby big screen projection & 7.1 surround system) format and seeing it in a proper cinema again it was obvious it was really designed to be seen in a large format. But this post starts almost a decade ago… the year was 2004 the comic to screen adaptation landscape was dominated by family friendly fare standing tall above the graveyard littered with comic based films unable to take their graphic roots seriously enough to commit to the budget needed to bring a comic to life appropriately. As much as the technology to create credible effects debate is brought up – I still believe story is king and everything else can be built around it. I guess the "comic" market may have been seen as still developing and not cash rich enough to sustain a complex product aimed at a mature market without incurring the high risk price tag that comes with adapting comics. Invariably the bulk of comic fans were always left feeling dissatisfied but happy enough to see their favourite character up on the screen and not soiled on too much. Too be fair some of the family orientated stuff was damn entertaining but didn’t come close to exploring the depth, breadth or complexity of imagination presented in the comics beyond the images on the pages. Bryan Singer broke ground when he touched on the darker roots behind the comics in the opening moments of his X-Men (2000) when he introduced the complexity of his lead villain Eric Lensherr. But since 1986 - when Frank Miller’s futuristic take on Batman with his masterpiece The Dark Knight Returns followed a year later by his reinvigorated and revealing look at Batman’s origin in his 1987 Batman: Year One (which heavily influenced Nolan & Goyer’s vision for Batman Begins) and then revelatory Alan Moore’s 1988’s Batman: The Killing Joke a twisted look at the insanity of The Joker – for many existing fans this darker look at the Dark Knight was as close to their inner vision being realised than ever before, and for many new readers these pioneering comics shaped who Batman is - Batman fans have been crying out for a darker more realistic interpretation of the caped crusader. Tim Burton responded with his entertaining darkly gothic interpretation of Batman in 1989, but with all due respect to the genius of Tim Burton whilst this was a step in the right direction his Batman was not the Batman I wanted. Batdance! Indeed! Through the next Batman films (and Batmen), Batman took a slip backwards to a parody of itself and ended up with a similar status to the 60s TV show. This disappointed fans to the point of distrust and a no confidence vote in the studios and their handling of favoured comics. But in 2005 reality and comics collided when Christopher Nolan released his Batman Begins onto the big screen. I get irked when people mention the words Batman Begins and reboot in the same sentence. Its not a reboot its the first time Batman is being represented the way he should be on screen. In essence Batman Begins is a standalone story of Bruce Wayne's journey from scared boy to becoming the caped protector of Gotham City. By and large Gotham is the large megapolis city we expected and hoped for but some elements of Gotham’s design like the monorail and especially the Narrows were heavily influenced by what seemed to be a cross between an Elseworlds Universe (a story that takes place in an alternative world or time period) and a Tim Burton Gothic dream – sure gothic elements have always played a part in the history of Gotham and particularly Arkham Asylum but this is seemingly at odds with the real world Batman that Nolan puts so much effort into creating. There is an argument that the Narrows were based on Kowloon's Walled City and like much of Nolan's vision has a basis in reality. Sadly I feel the bridging of the two styles doesn't really work and subtly knocks at the credibility of the entire film. Whilst previous films all the way back to the 60s TV show made efforts to create fantastical worlds that their characters could exist in, particularly the incredible design work on Tim Burton'sBatman. Nolan designs the characters to fit in as real world as possible making the Gothic elements of Gotham seem out of place. Strains of Metropolis and Blade Runner’s urban landscapes are recognisable but should have been the basis for the whole of Gotham downplaying or losing the fantastical Gothic elements. Without a doubt Batman Begins is Bruce Wayne’s story but this leaves little time for character development of anyone else and many of the characters seem solely created to move the story along. 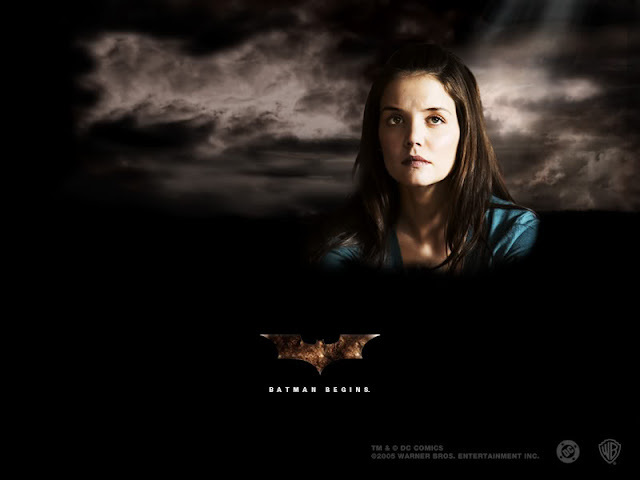 As demonstrated by the all too conveniently upgrade of Batman’s love interests all merged into one - Rachel Dawes. Dawes was a Goyer/Nolan creation and did not exist in the comic world. It is nice that Rachel is a new character and can be stretched and used to fit Nolan’s film but on initial viewing she seems more a function than a personality she is a tragic Vicki Vale like love interest that ties Bruce’s past, his future and the ongoing story of Gotham City as well as functions as a disapproving voice of reason effectively reminding us of how lost Wayne has become since his happy childhood. But being a new character that can be stretched to fit without repercussions throughout the DC Universe has side effects as we see in The Dark Knight. Although masterfully portrayed by Sir Michael Caine Alfred has seemingly become a mix of comic relief sidekick & Yoda, albeit playing to Sir Michael’s strengths and again even though he is the best on screen Alfred we have had and this is important to move the story along quickly as well as give Wayne's actions credibility if everyone else is OK! with it we should be, but there is a niggling underline incredibility here. 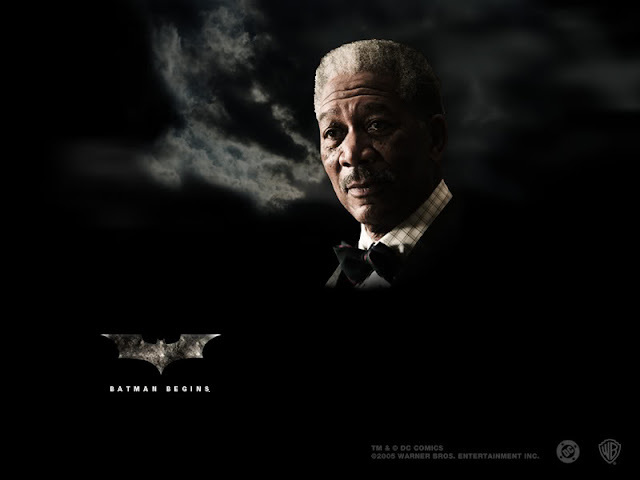 A case where this works for a character is Lucius Fox who has morphed from a Wayne allied business leader into Batman’s version of Q, but it transpires that Fox has ended up in Applied Sciences as part of Earle’s Machiavellian corporate actions by the end of the film Fox’s character has grown. Even though Fox is presented as intelligent and very quickly guesses what Wayne is up to. His relationship with Wayne moves things along too conveniently. I wasn't wild about how the characters just accept that Bruce Wayne is going to dress up as a bat and run around Gotham, it would have been good if Fox or Alfred put up some resistance with many of the 100s of sane arguments against it and the tension played out.As with the gadgets there is hardly any evolution/development of the trust Wayne feels in knowing that his alter ego is known. This is collateral damage of placing Batman in as real world as possible - Let's be honest anyone with access to the internet could could figure out who the masked vigilante is. As well as having to cover so much in as short time as possible. 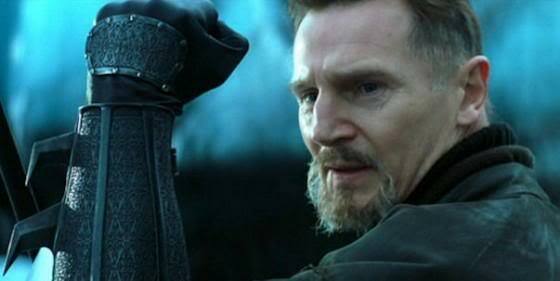 I never really perceived Ra's Al Ghul as an effective threat to Batman in the comics. His moral stance seemed to sway with his requirements as dictated by the particular story he was in.Whilst other dated characters got relevant updates or reinventions he always came across as a bizarre and tragic pantomime figure lost to the pressures of his world and only popping up when he was a was close to some impending disaster or other and then disappear for ages. On the surface Nolan does nothing to alter this. At best I was hoping for a new villain someone Nolan created and fit the purpose as well as was a wild card that we didn’t really know the boundaries of. Someone who could slaughter a room full of people as easily as drinking a coffee an out and out psychopath that was unpredictable and possibly became part of the Batman universe because he/she was so intriguing. Failing that one of Batman’s more threatening foes would have been ideal - like Killer Croc (sadly not given the respect he deserves), Bane or to a lesser extent Cornelius Stirk or even Zsasz. 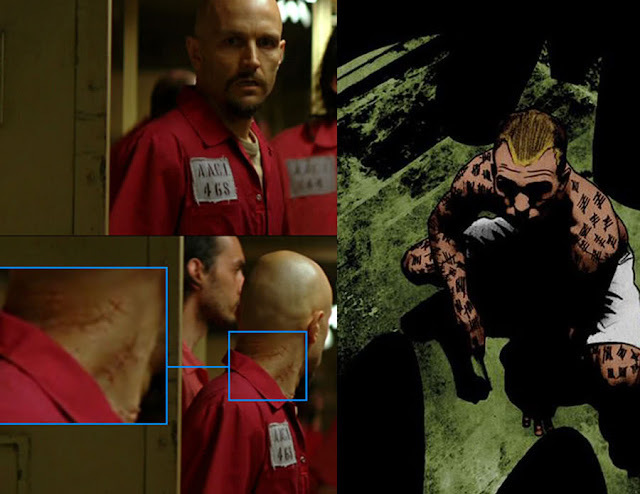 Talking about Zsasz, this Lecter’ish villain has such potential I’m guessing this was recognised otherwise he would not have been in the film but making him the street thug pawn of Carmine Falcone kind of lessens his unpredictable insanity, keeping the scars that tally hiss kill score was good but he looks and acts way to sane. Same for Cillian Murphy’s Scarecrow another highlight of Batman Begins I absolutely loved The Scarecrow - seemingly heavily influenced by a character from Clive Barker’s Nightbreed the psychotherapist Dr. Phillip K. Decker’s (played by David Cronenberg) genuinely terrifying psychotic alter ego. If I remember correctly The Scarecrows presence was kept a secret so his reveal was possibly the most effective of all characters and his character's traits tie into the whole narrative so well, more so than anyone else. I know that Gotham needs a pecking order of villainy on order for the machine of evil to rotate but making Scarecrow one of Ra's Al Ghul’s pawns really does lessen a character who could be the most terrifying in the Batman world. But having a villain who relies on fear inducing drugs team up with a master mind that has access to raw materials and a plan makes a lot of sense and was a bold move. Ultimately bringing in a character like Ra's opened up a lot of wider possibilities to the world of Batman Begins and further story lines. Particularly his desire that Gotham has to be destroyed. In essence this places both Ra's Al Ghul and Bruce Wayne into a much larger world rather than boiling there opposing forces down to a straight slug fest. In fact the entire way through the film Ra's is hoping that Wayne will join him. This taps into another larger theme of Batman Begins the loss of his father. The entire way through the film father figures try to take him under their wings. This point of view very much in line with someone who has lost someone and constantly reminded of that loss. This adds a subtle undertone that very effectively adds depth to Wayne’s character. Nolan’s Ra's is very much in line with the comic Ra's and I don’t think he could have ever been portrayed in a better way unless Batman was completely reinvented or pared down to the most simplistic of tales like Unbreakable. Given the run time of Batman Begins and the huge amount of story it covers an amount of focus given to Bruce Wayne the compacting of characters makes sense but only over multiple viewings and an adaptive curve of character personality did the characters come into their own. Talking about paring down and simplifying, to my chagrin this is exactly what Nolan does with the history of the Gadgets of Batman. Some fans have criticised the gadgets of Batman Begins, but quite the contrary I love all of them - part Science Fiction part Billionaires play things, how can you not? They are absolutely marvellous and any one of them would make a bystander exclaim “Where does he get those wonderful toys?” The Tumbler is one of the greatest vehicles on screen and its introduction had me cheering. 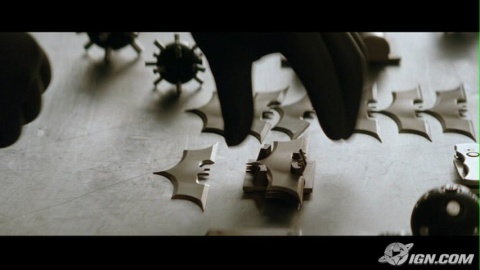 My issue with the gadgets of Batman Begins however is their introduction or rather the timescales involved. You don’t get a sense of Wayne refining and making them better over time (maybe the Bat-suit which subtly ties into Burton's Batman and evolves over the larger Dark Knight Trilogy) but it does seem that he acquires his full kit, vehicles and gear and is up and running over a couple of months as well as masters them. The only gear that are given a proper evolution are the blades on the side of Batman’s gauntlets which are revealed to come from Ra’s Al Ghul’s ninja training days. Nice! As with the condensed characterisations this does somewhat deflate their intelligence, credibility and gravitas. Plundering Wayne Enterprises Military gear is plausible and great device but you must remember that in the comics Batman’s kit evolves over the character's 73 year history, in Batman Begins Wayne digs into Wayne Enterprises kit bag and Hey presto! Is fully kitted out. Nolan tries to overcome this by showing Wayne working on his gear. But this is a wasted opportunity to explore how this stuff came about. Also I understand the whole water dispersion gadget (after my second viewing) but it seemed to have a whole subplot and time dedicated to it that could have been better used for any of the areas above. I’m sure there are any number of solutions to the problem of dispersing the toxin that could be explored in many different ways? But as I say between that first viewing, a second viewing following a couple of days later (the spectacle and weave of Batman Begins too complex to absorb in one screening) and multiple viewings thereafter Batman Begins escalated from being the best interpretation of Batman on screen to one hell of a great film. Nolan’s Batman Begins relies on 5 elements to make it a great film. In my opinion there are two kinds of creative geniuses; those who look at all the same pieces we see on the table but puts them together in a completely unpredictable and unexpected way. The other type is the kind that sees all the same pieces as us and knows what is missing and how to add it to the construction. 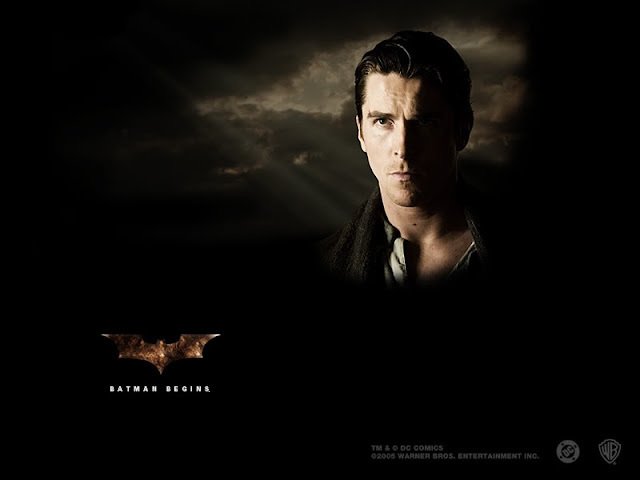 Nolan shows us with much of Batman Begins that he is the second kind of creative. Too much history & we can’t kill Vicki Vale off? No problem we’ll make a new character. Batman Begins is brimming with creativity and ideas clearly the people involved had been waiting for the opportunity to flex their creativity in doing Batman right from the story through to the minute details of the design work. Christopher Nolan commits to making a film that adheres to his themes from the start to the end. It doesn’t feel like he compromises for the sake of audience demographics or studio whims. He makes a film that is respectful to the spirit of the comics. As fun as Tim Burton’s Batman is, it felt like it took place in an alternative 1950s and too far from our reality to be relevant. It also perpetuated the myth that super hero tales cannot fit into an adult world intelligently. More is the challenge as Batman is an ordinary man that pushes himself past the limits of human endurance and performance to do fantastical things whilst dressed as a bat. Nolan set out to make an intelligent film that could be enjoyed by adults. 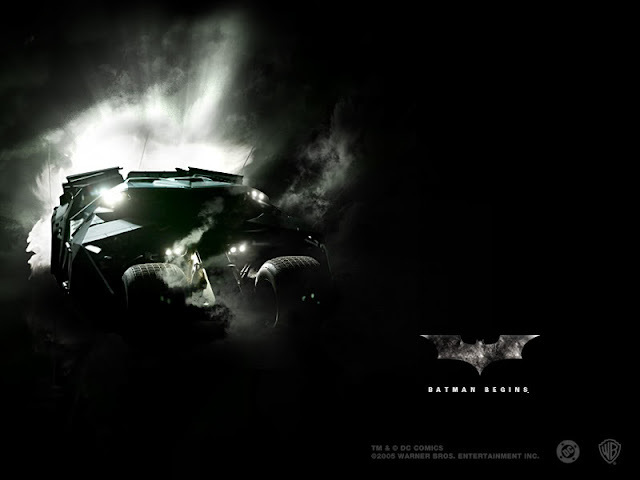 It is clear he expects the same commitment from his team, which seems to have paid of as Batman Begins is almost technically flawless and more than an outstanding in cinematic achievement as can be seen with the production design, costumes, sets, locations, casting, performances, music and performances all outstanding coming together to create a credible and epic super hero tale. Equalling with decent acting - as a narrative alone will not be enough to lift a film. Inversely great performances will often be sunk if a story stinks. I’m not saying that Batman Begins is a perfect story but it is a fresh and bold take on Batman that cleverly relies on existing Batman elements. I had to watch it twice to get my head around the whole water dispersion weapon before accepting it as just there. Surely there are a handful of more clever solutions for getting the toxin to taint the people of Gotham. Chris Nolan’s Batman Begins is based on a story by David S. Goyer with DC’s Martin Pasko acting as continuity consultant. David S. Goyer is the man whose career kicked off at 22 when he wrote (arguably) Jean Claude Van Damme’s best film Death Warrant, subsequently he has written many comics, books, TV shows as well as was behind some fairly questionable films before finding his footing with some great features like; Dark City, Jumper, The Dark Knight, Ghost Rider: Spirit of Vengeance and one of the best comic based adaptations to grace screens the 1998 Blade (which shares more than a lot of similarities with Batman Begins). 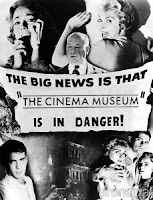 Goyer will also be involved with the upcoming The Dark Knight Rises, Man of Steel and Gareth Edwards' Godzilla reboot. It's probably worth noting Goyer also wrote the stories for the games (Gary Oldman starrer) Call of Duty: Black Ops and the upcoming Call of Duty: Black Ops 2. (Influence on Nolan’s films? Discuss) it is clear to see that Goyer is in the creative space that is needed for this stuff. Fortunately both Nolan and Goyer must be two of those fans I mentioned earlier that were yearning for a more realistic and darker Batman as Batman Begins is just that. Batman Begins explores the untold story of Batman’s origin. 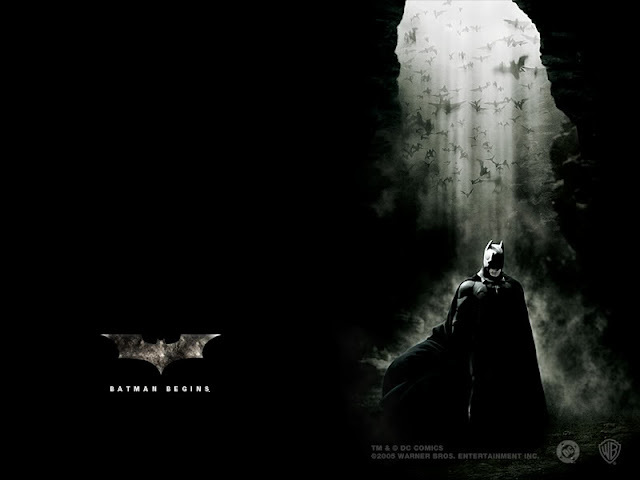 Christopher Nolan and Goyer worked together to merge core elements, events, themes and iconic visual elements from the Batman mythos into a complex a narrative weave which unfolds through dual timelines that explores; loss, bereavement, fear, revenge, justice and the duality of man’s mind (a theme that Nolan explores in all his films) as Bruce Wayne goes on a journey from scared young boy to solitary guardian of Gotham City. Batman’s roots were borne out of The Scarlet Pimpernel (all the more relevant with the revelation that Christopher Nolan’s upcoming The Dark Knight Rises takes inspiration from Charles Dickens' A Tale of Two Cities), Zorro (sadly the comics homage to Zorro's place in Batman’s origin was omitted from Batman Begins to be replaced by the Faustian opera Mefistofele by Arrigo Boito (which is odd as the Batman in Batman Begins is more about the people than ever before - he exists to be the people's champion ), #Update! 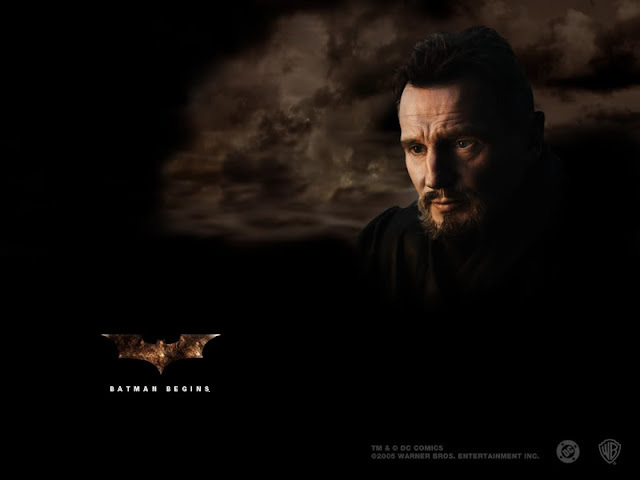 Of course the tale of a man who sells his soul to a shadowy figure that has a hatred for a worthless mankind has everything to do with Bruce Wayne's journey, particularly his relationship with Ra's Al Ghul furthermore if I remember correctly - this is also echoes the origin of how Ra's Al Ghul gained his powers. We didn’t have young Bruce going to see Zorro because a character in a movie watching a movie is very different than a character in a comic book watching a movie. A comic-book character reading a comic book is more analogous to a character in a movie watching a movie. It creates a deconstructionist thing that we were trying to avoid. That was one reason. But another reason was to remove Zorro as a role model. We wanted nothing that would undermine the idea that Bruce came up with this crazy plan of putting on a mask all by himself. That allowed us to treat it on our own terms. So we replaced the Zorro idea with the bats to cement that idea of fear and symbolism associated with bats. Douglas Fairbanks, The Shadow (Lamont Cranston transformation into The Shadow seems to have been a very clear influence on Bruce Wayne’s travels to Tibet and the skills he learns), Roland West's The Bat, Sherlock Holmes and Houdini but Batman Begins takes its inspiration from across the entire legacy of Batman. The subject matter of Batman Begins is satisfying to existing fans for as it explores and expands recognisable elements from across the Batman mythos as well plots events and fills in gaps between them adding depth to Bruce Wayne and creating the untold story of Batman’s origin. Did it work? 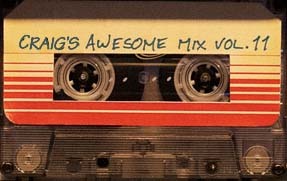 What is the title of the new Spider-Man film? Bruce Wayne’s worldly travels to hone his detective skills was always an area of interest to me and I’m sure to many Batman fans - it always felt like there were ample opportunities for Wayne to learn new fighting styles, tactical skills and forensics around the globe and certainly something I was hoping to see explored at some point but secretly suspected may never happen - so seeing part of it up on the screen was marvellous. This conveys that Bruce Wayne has seen the world, other cultures, it’s injustices and beauty – making him worldly not just a solemn guy sitting in his darkened study. Even though Wayne’s visit to Tibet was introduced in the 80s and was a common theme in many “Boys own Adventures” during the 30/40s with pulp fiction like Doc Savage. The similarities between Bruce Wayne and Lamont Cranston’s genesis into their respective alter egos is a little too similar. Taking us on the journey with Bruce Wayne we bond with the man and his mission making it a lot easier to accept him into a more realistic vision of Gotham far closer to our world than seen before. As Batman Begins focuses on Wayne’s time in Tibet hopefully we will still get to see more of Bruce Wayne’s worldly travels as he refines his detective skills. He is after all a wealthy man who can call on the finest resources in the world. There may be an argument made for him never leaving Gotham as it needs him too much but Wayne is a man of means and we need to see him explore the world something lacking in previous Batman films. Taking a leaf out of the 1978 Superman film to add credibility to the comic tale the cast of Batman Begins are at the top of their game. Across the board the performances of the cast of Batman Begins are outstanding Christian Bale who has to carry the film comes into it with the same intensity that he brings to all his roles akin to his portrayal of American Psycho’s Patrick Bateman or Shaft’s Walter Wade, Jr. He creates a brutal and frightening vigilante. Whilst bringing depth to the darkness that has beset the vulnerable and tragic figure never quite letting us feel that Batman has triumphed but just got by. This is the Batman we want to see. One of the tent poles holding Batman Begins up is Gary Oldman's performance as Jim Gordon.Physically he morphs himself into the character and he isn't just acting he is Detective Jim Gordon from Batman. He is absolutely outstanding! Sir Michael Cain and Morgan Freeman bring an air of class to the new world of Gotham. Both being allowed to bring a lot of personality and character to their roles and they do. Despite a dodgy American accent Tom Wilkinson eats up his scenes as gangster Carmine Falcone. Possibly the hardest element to get right as the atmosphere is created from all the elements of the film combined; the story, the dialogue, the locations, the costumes, performances, music, sound design, look, cinematography and performances all add to the atmosphere. If one element fails the house of cards could come down. Batman Begins places Batman in a dark, cold world with little hope, the ideal breeding ground for a super hero. But it's not all doom and gloom as the film is specked with humour that lifts the coldness. Atmosphere is something that the Chris Nolan excels at particularly when partnered with Wally Pfister / Nathan Crowley / Hans Zimmer / Chris Corbould. The atmosphere of Batman Begins is the thing here and an outstanding achievement this for many the dark atmosphere that Nolan creates for Batman Begins is what lifts the film past anything else in the genre. In the first half of the film there is a subtle shadow, darkness or dirt covering half of Wayne’s face in most of the scenes after his parent’s death. Like he is two halves of a man when he becomes the two entities Wayne/Batman can Wayne’s face can be fully seen without the darkness. Thomas Wayne’s stethoscope makes a recurring appearance at various stages of the Batman Begins. Not only is this a technique to ground the characters to reality as an onscreen character that interacts with their environment is subtly more credible. Nolan took this to the nth degree with Inception where the dreamers had totems that was not only their link to reality but our world to theirs. As is Dr. Thomas Wayne’s stethoscope or Totem to Bruce and us. George Fredericks: The apple has fallen very far from the tree, Mr. Wayne. This is further compounded with the quirk that George Fredericks is actually played by John Nolan, Chris Nolan’s uncle. But by the end of Batman Begins Bruce feels that his actions as Batman have honoured his father and discovering the destroyed stethoscope symbolises Bruce coming to terms with this. Bruce’s father thanklessly helped the people of Gotham in many ways one of them healing them, symbolised by the stethoscope. Bruce feels more fulfilled when he echoes his fathers actions by helping people as the anonymous Batman. Even explaining to Detective Gordon that he never has to say thank you. Doctor heal thyself. The stethoscope is also a stark reminder that Bruce Wayne is fractured and cannot heal himself. Other totems that symbolise deeper meanings include; the arrowhead, the blue lotus flower that Wayne had to retrieve before being granted access to Ra’s al Ghul’s lair, Martha Wayne’s pearl necklace, Thomas Wayne’s coat in the police station which Gordon places around him like a protective cape. And then promptly jumps on the Monorail and like a speeding scalpel heads to the unofficial centre of Gotham City or its heart with his deadly cargo. There are many things to love about Batman Begins and some indications that Nolan was a growing visionary still finding his feet but by all counts Batman Begins is the greatest comic to screen film that has ever graced our screens. One of the best things about Batman Begins for me past all the flash was a small scene where Bruce Wayne is woken up by Alfred with a newspaper featuring a story of his Batman activities. Bruce Wayne: [as Alfred opens the curtains] Bats are nocturnal. Alfred Pennyworth: Bats may be, but even for billionaire playboys, three o'clock is pushing it. The price of leading a double life, I fear. Your theatrics made an impression. 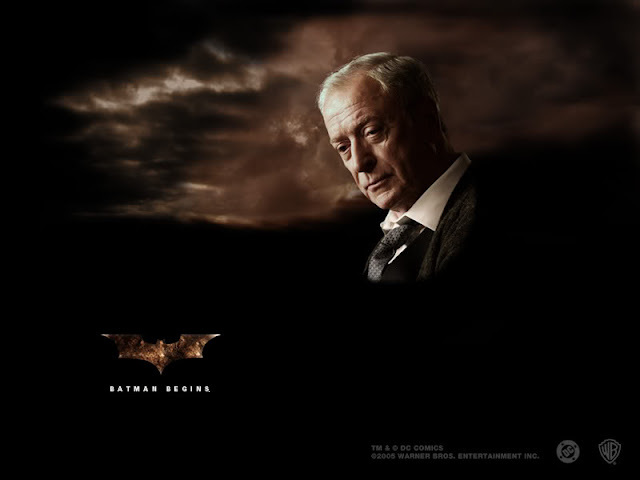 Bruce Wayne: Theatricality and deception are powerful weapons, Alfred. It's a good start. This is exactly the kind of pseudo psychology that Bruce Wayne would all knowingly sprout in the comics. But here we have some background context as we know that these are Ra’s’ words. This is such a small thing but gives depth to Wayne’s development and character, as well as gives Ra’s a higher status in the Batman’s world and more importantly places Batman Begins into the long legacy of Batman. 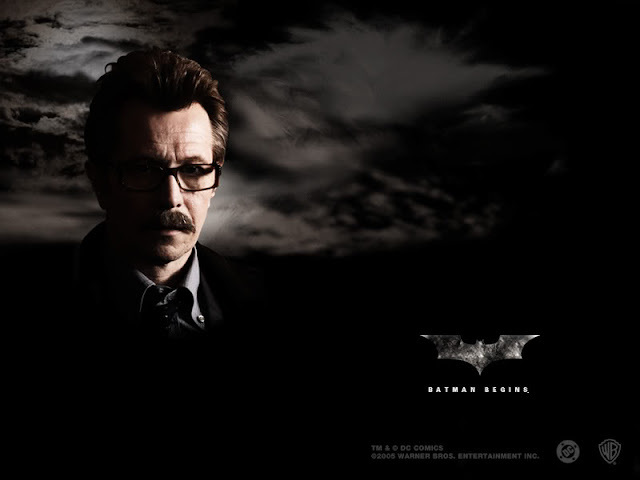 Jim Gordon: I never said thank you. Batman: And you'll never have to. Clearly this is only the beginning! Keep a lookout for my thoughts on The Dark Knight and The Dark Knight Rises. It's a question that haunts Bruce Wayne (CHRISTIAN BALE) like the specter of his parents, gunned down before his eyes in the streets of Gotham on a night that changed his life forever. Tormented by guilt and anger, battling the demons that feed his desire for revenge and his need to honor his parents' altruistic legacy, the disillusioned industrial heir vanishes from Gotham and secretly travels the world, seeking the means to fight injustice and turn fear against those who prey on the fearful. In his quest to educate himself in the ways of the criminal mind, Bruce is mentored by a mysterious man called Ducard (LIAM NEESON) in the mastery of the physical and mental disciplines that will empower him to fight the evil he has vowed to destroy. 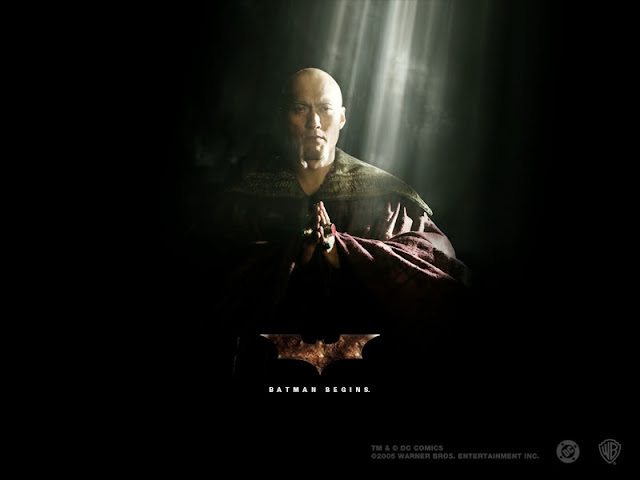 He soon finds himself the target of recruiting efforts by the League of Shadows, a powerful, subversive vigilante group headed by enigmatic leader Ra's al Ghul (KEN WATANABE). Bruce returns to Gotham to find the city devoured by rampant crime and corruption. Wayne Enterprises, his family's former bastion of philanthropic business ideals, now rests in the hands of CEO Richard Earle (RUTGER HAUER), a man more concerned with taking the company public than serving the public good. Meanwhile, Bruce's close childhood friend Rachel Dawes (KATIE HOLMES), now an Assistant District Attorney, can't secure a conviction of the city's most notorious criminals because the justice system has been so deeply polluted by scum like crime boss Carmine Falcone (TOM WILKINSON). It doesn't help that prominent Gotham psychiatrist Dr. Jonathan Crane (CILLIAN MURPHY) bolsters insanity defenses for Falcone's thugs in exchange for nefarious favors that serve his own devious agenda. With the help of his trusted butler Alfred (MICHAEL CAINE), detective Jim Gordon (GARY OLDMAN) - one of the few good cops on the Gotham police force - and Lucius Fox (MORGAN FREEMAN), his ally at the Wayne Enterprises' Applied Sciences division, Bruce Wayne unleashes his awe-inspiring alter-ego: Batman, a masked crusader who uses strength, intellect and an array of high tech weaponry to fight the sinister forces that threaten to destroy the city. 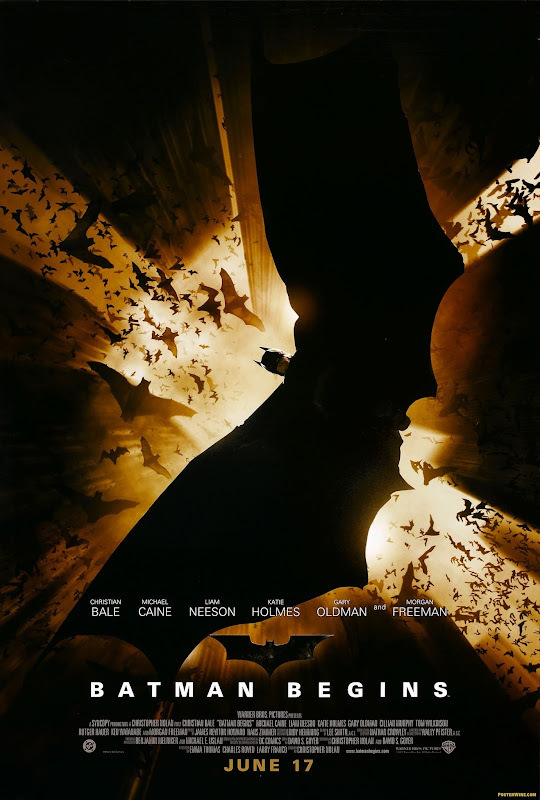 Warner Bros. Pictures presents a Syncopy production of a film by Christopher Nolan, CHRISTIAN BALE in Batman Begins, starring MICHAEL CAINE, LIAM NEESON, KATIE HOLMES, GARY OLDMAN, CILLIAN MURPHY, TOM WILKINSON, RUTGER HAUER, KEN WATANABE and MORGAN FREEMAN.